KARL STORZ SE & Co. KG are kindly sponsoring this course. In order to obtain the funding you must agree to your contact details being forwarded to Karl Storz. Register onto the course and we will ask you to send in 3 documents, if the Course Director accepts your application we will ask you to pay the fees online. A four-day course aimed at Upper GI surgeons and senior trainees who wish to learn more about laparoscopic approaches to the GI system. Suitable attendees are surgical trainees (SPR 5-6) and consultant surgeons who have extensive experience of conventional upper GI procedures and are already undertaking routine laparoscopic cases (cholecystectomy, diag. lap., lap appendix). There will be a maximum of 20 places available on each course, with 2 courses running each year. 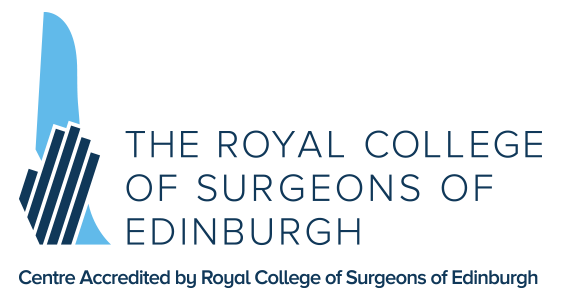 Attendees who wish to book on the course should either provide a brief 2 page CV including current surgical activity and a letter of recommendation from their superior. Candidates should be at the point of commencing practice of some of the procedures to be covered in the course, with appropriate supervision/ mentorship. This will be a very intensive, practical skills course where attendees will master a variety of tissue approximation techniques. The following laparoscopic procedures will be rehearsed in the skills laboratory: Laparoscopic suturing, laparoscopic repair perforated duodenal ulcer, total fundoplication, laparoscopic common bile duct exploration, laparoscopic gastroenterostomy and bariatric surgery. There will also be several expert sessions covering aspects of advanced upper GI surgery involving clinicians from across Europe, with a live operative demonstration. Apply the component skills taught in this course to various procedures including sutured gastroenterostomy, laparoscopic fundoplication, repair of perforated duodenal ulcer, common bile ductal exploration (CBD) and gastric bypass.